Hey guys, today I'm happy to bring on my friend Cindy Sha who is a part of the NohatDigital team. Since 2016, they've been buying different types of online businesses then work their magic to double or even triple them in a very short period of time. Personally, I've been always curious to know how they did it. So when Cindy reached out and asked to write a guest post for Cloud Living sharing a case study on exactly what they did to double a business - I immediately said yes. I hope you guys learn a lot from this article! Take it away, Cindy. If you’re an avid reader of IM case studies, then you’ve surely heard of Perrin’s site, Herepup, which he sold for a little over $200,000. He created this site in 2015 and was able to build it up within 2 years to generate $8,280 in the last month of owning it. However, what happened since then? Should he have sold it? Many people build an authority site in the hopes of selling it off for a huge payday. After all, you can get between 20 – 30 x the monthly earnings for your site. Herepup was sold for over $200K and that’s nothing to sneeze at! But... if you knew you could almost double the current earnings of your site, within a handful of months.. would you be so quick to sell? Or, how much more could you have gotten from the sale? 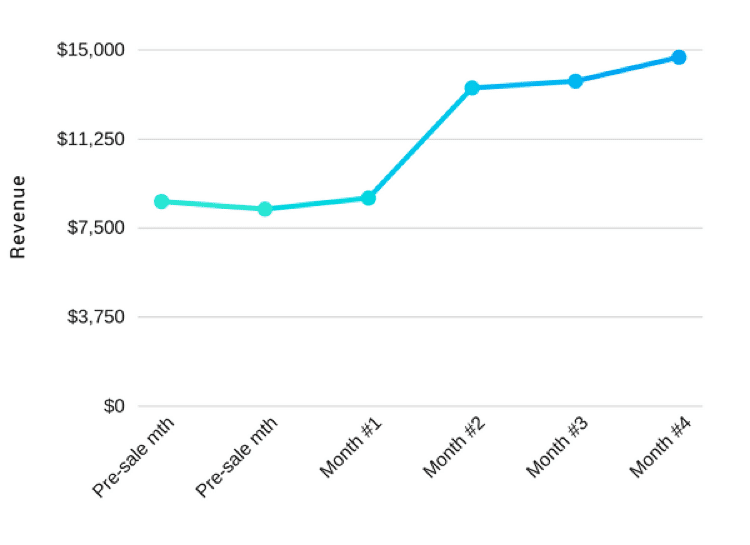 After acquiring Herepup, we increased revenue from its baseline of $6,988 per month to $14,677 after only 4 months. So, given the new monthly revenue x 25, Perrin could have gotten $366,925 by selling it. However, this site doesn’t use any PBNs or other blackhat backlinking strategies, so it could have sold for a higher factor (x 30), which means he could have gotten as much as $440,310! 1 How Did We Do This? Some new SEO technique no one has heard about (yet)? Nope! 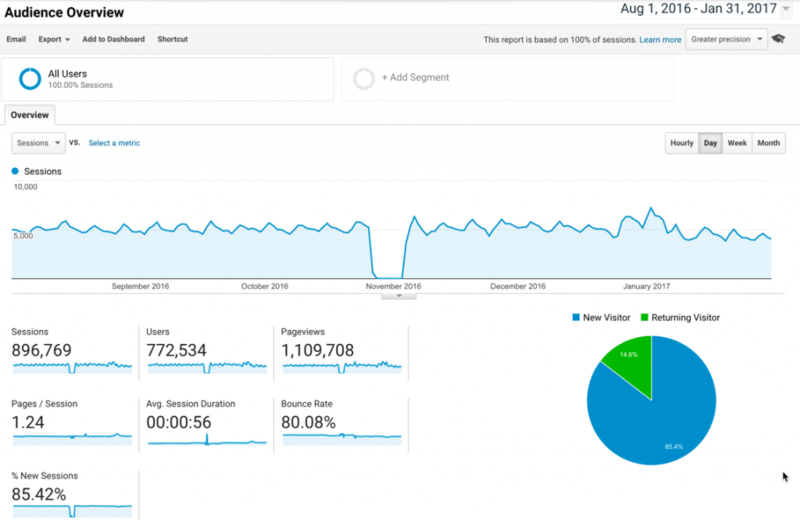 All we did was focus on building more quality backlinks, creating more content and switched to a higher paying affiliate program. These are all things you’ve heard about before – and probably overlook. At NoHatDigital, we make use of Pareto’s principle – focus on the 20% that drives 80% of the results. However, the one thing we did differently, was implement the above strategies, at scale. We didn’t just get 5 links and called it a day, or put up a handful of new articles. We really went to work. So, lets take a closer look. Perrin originally focused on creating keyword focused content for Herepup and we decided to continue his strategy. However, as mentioned before, we did this at scale. So, in month #2 of owning the site, we published 34 new articles, in month #3, we published 74 new articles and in month #4, we published 76 new articles. Each article that was posted was over 1,000 words. Once the new articles were posted on the site, they started ranking within a week or two. This happened because the site was already established and ranking well for most of its keywords. The next thing we did was build high quality, white hat backlinks. We chose to create infographics and then market them to other pet blogs/sites. Infographics lend themselves quite well to the pet niche, which was a part of the success of this strategy. In month #2 of owning the site, we created 4 infographics, in month #3, 2 infographics and in month #4, 1 infographic. Once we created each infographic, we did a significant amount of outreach. This basically means finding relevant sites and asking them to post our infographic on their site (with a link back to ours). Over the 4 months, we emailed 63,988 sites! Every site that responded, we created a unique introduction to go along with the Infographic to prevent any duplicate content issues. This may not seem overtly impressive, however, those links packed a punch. The majority of them had a domain authority of over 18 and one had a DA of 33. In total, we created 184 new articles and got 54 new links within the first four months of owning Herepup. The results? The new content alone generated $1,006.33 in three months. This content was just published on the site and didn’t have time to age or get higher rankings. So, the revenue from the new content will increase over the coming months. As you can tell, even though adding a significant amount of content and links in the last 4 months, resulted in adding $1,0006.33 to our revenue, it was not the immediate cause of doubling the site’s revenue. What truly moved the needle, was switching from Amazon to Chewy. We were able to negotiate a higher payout from Chewy which resulted in doubling our revenue. Of course, we didn’t completely remove Amazon, but added Chewy products. We were unsure about the move and thought it would decrease our overall clicks since more people know and trust Amazon, but this was an unfounded fear. 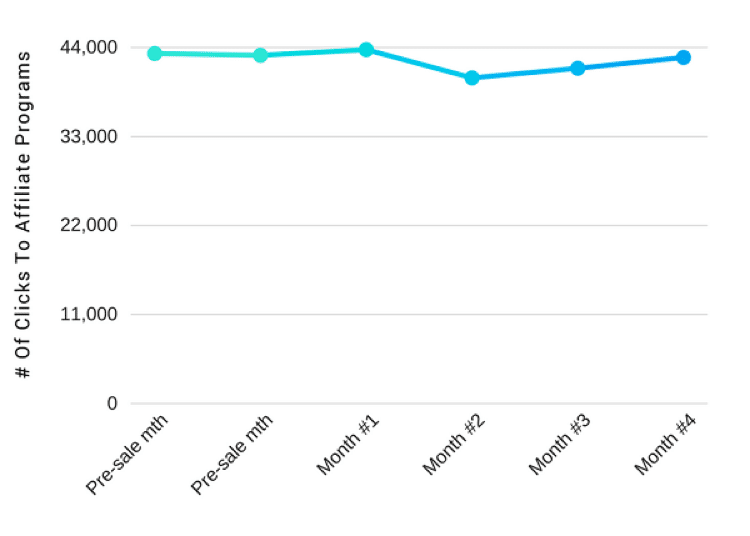 As you can see in the chart below, the number of clicks to affiliate programs decreased very slightly once some Amazon links were removed and Chewy was added in Month #2. However, even though the clicks to affiliate products were slightly lower, revenue soared! 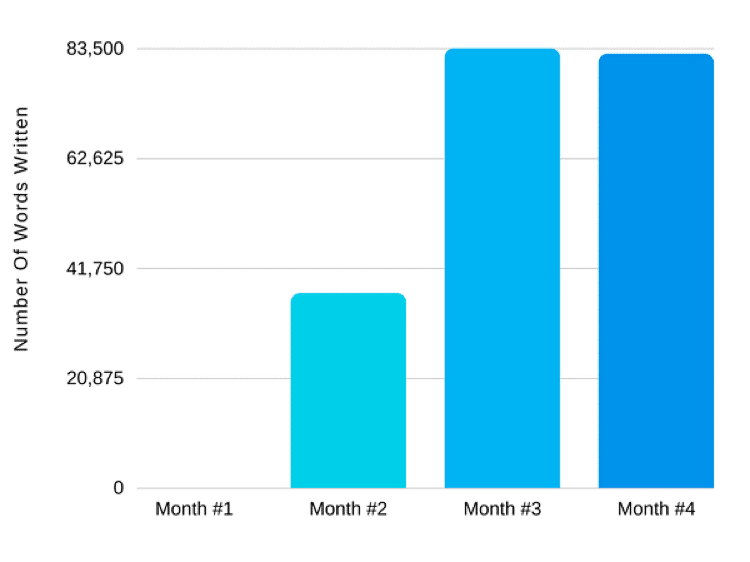 In the fourth month, Chewy affiliate products accounted for over $9000 of the total revenue and the remaining $5000 came from Amazon and Media.net ads. As a result of the above changes, the average visitor value increased from $0.062 to $0.114 in four months – a 1.8 x increase. Note that the tracking didn’t work for a few days in November, causing the traffic to show as 0. Note that month #3 was December, thus a slight increase in traffic was due to the usual Christmas rush. Within 4 months of owning Herepup, we managed to double the baseline revenue from $6,988 to $14,677, increase the visitor value from $0.062 to $0.114 as well as increase the earnings per page. So, can you do the same to your website? This case study proves it. All you need to focus on is identifying higher paying affiliate programs within your niche as well as scaling your content and link building efforts. If you have a significant amount of traffic, don’t be afraid to negotiate for higher commissions – if you don’t ask for a raise, the answer will always be no. What if you can’t find a higher paying affiliate program for your site? Then, it’s well worth it to create your own product. What are you gonna do to double or even triple your affiliate revenue? Let us know in the comment section below. Thanks for the nice case study Cindy! However, I noticed nohatdigial’s internship program offer a couple of months ago. Are all those contents created and outreach emails sent by your interns, just out of curiosity? Some of the outreach is done by our interns, but not all. We have our in-house system since we own a large portfolio of sites that constantly need new content and links. Cindy, I’m still trying to lift my jaw of the floor after you mentioned 65000 outreach emails. Perhaps your next post here should be about that. Excellent post btw. I am going to subscribe to your nohatdigital as well. Thanks. Thank you – that next post idea sounds great! Just wanted to point out there is a typo in the Changing Monetization section. You said “1,0006.33”. I liked the tip of increasing revenue by moving from Amazon to negotiating with another program. Funny to hear you choose Chewy. Isn’t that the company HerePup originally had trademark disputes with over the original domain name? Very cool to see the numbers behind what happened when you made that change. On the NoHatDigital site it says that your team implements blockchain technology into companies that you acquire. Any chance you’re going to somehow do that with HerePup? Unrelated question for Tung: How are you enjoying Thrive’s commenting plugin so far? Noticed that you have since enabled it. It’s pretty good. I like it. Thanks for the catch on the typo! At the moment, we’re just focused on growing Herepup’s revenue through the strategies above and experimenting with upsells (pet insurance). Did you try drop shipping or planning to do it? Did you pay for any of the links? Thanks Himanshu! We didn’t pay for any links. Not planning to do drop shipping atm. This is very inspirational stuff! But 54 links from 63,988 emails sent seems low, I’m guessing you sent the emails as a block with a template? That does seem low. You’d have to send nearly 1,200 emails in order to get one link. That’s right Tom. Conversion rates are low, so that’s something we need to work on as well. When you said that you guys really went to work, it is clear that you did exactly so. The number of articles that you added per month is not a joke. I guess most bloggers do need to put in the extra effort, otherwise we will get the results that everyone else is getting. Definitely Sheeroh. It’s difficult to add so many articles at scale if you’re doing it on your own, that’s why its important to re-invest earnings you make from your site – hire writers, outreach VA’s etc. Great case study! EOD, you have to tweak, to move from better to the best! I’ve had a chat with Chewy, and they said that they don’t offer an affiliate program. Are you using something like Shareasale, CJ etc to be able to get it work? Looking forward for your inputs. Thanks for the indepth post. I plan doing something similar to this as well and hope it also ranks well. Am new to amazon affiliate. What is your average article length please? based on your best ranking articles please. Any insights into getting into the Chewy affiliate program? Unfortunately it seems that since traffic did not increase, and you didn’t do any CRO work, the entire “lesson” here is to have a relationship with a better affiliate program. 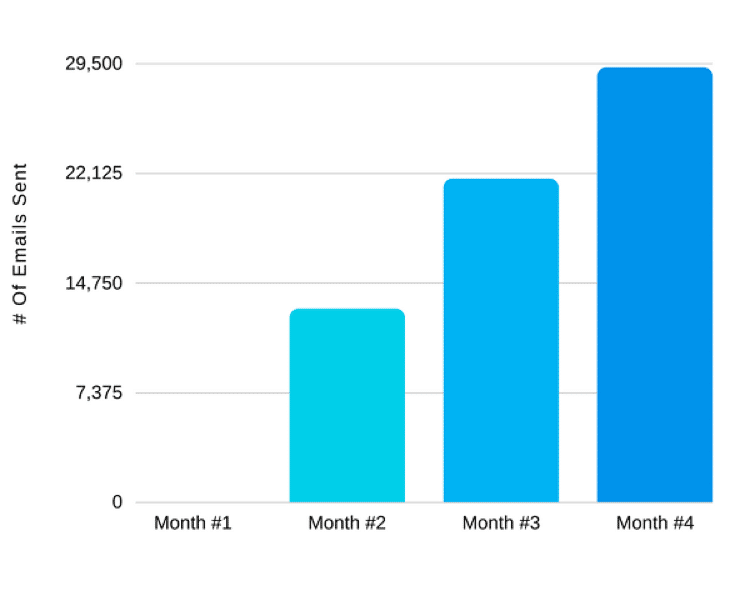 After adding the new content and links, revenue increased by $1,006 within those three months. That is quite significant and as that content ages, it will earn more. 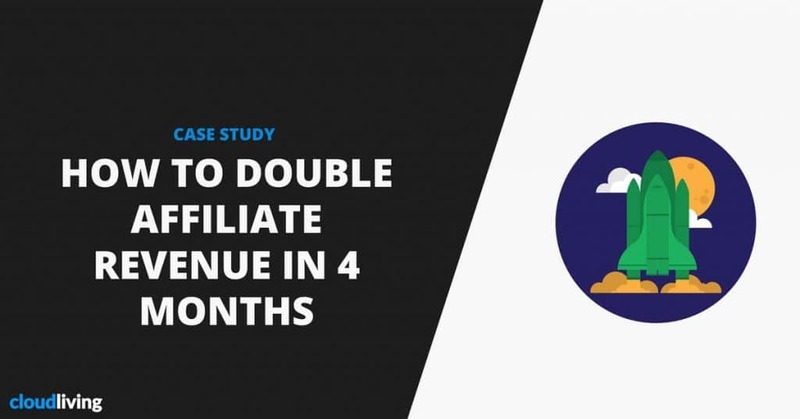 However, you’re right that our revenue significantly increased by using a higher paying affiliate program – something many affiliate marketers overlook especially when using Amazon to monetize. Thanks for your response. 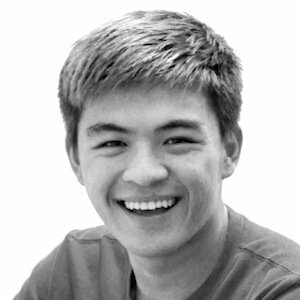 Would love to connect very briefly to talk about your experience switching affiliate links. Your posts have inspired me to make the switch, and I’ve got a quick question in regards to the program. If possible, would love to chat. Do you have a Twitter handle or something we could connect at? It seems that changing from Amazon to Chevy made a huge impact on income. I never heard about it, but I’ll make sure to give it a shot as these days I am trying to diversify as much as I can the revenue from Amazon. Thank you for the amazing casestudy. all my fear just gone as i was thinking of switching from amazon to another network due to Low commision.. let me try it on some of my ranked post..
WIll comeback and share my statistics soon. This is really good info. I am working on amazon for last 7 months, but til day I have not earned anything but knowledge and I was feeling down. but now after reading this detailed study, I am ready to start again and hopefully I will achieve what I am looking for. Amazing article for bloggers. Definitely recommending it to all my fellow bloggers!